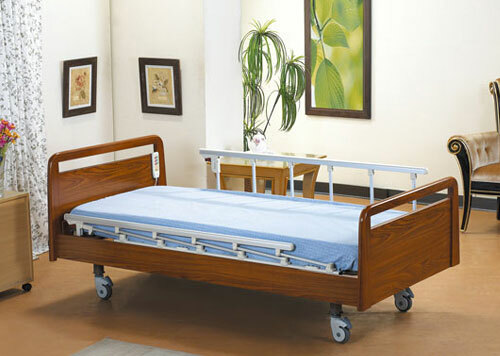 Adjustable electric beds equips with two motors. The head can move along with the leg part. The mattress is waterproof, anti-bacteria and washable. With aluminum rails and thick board, the head and end are removable. High quality ABS wheels, , IV stand socket, motor with CE certification, low-voltage DC electrostatic motor，when blackout, batteries can continue working, bearing weight 140kg, back lifting 0~85 degree, leg lifting 0~30 degree. If you are interested in our adjustable electric bed, Please contact us online.